Ending the year with great enthusiasm and gratitude, the Procam Group bagged two awards in December, 2018. 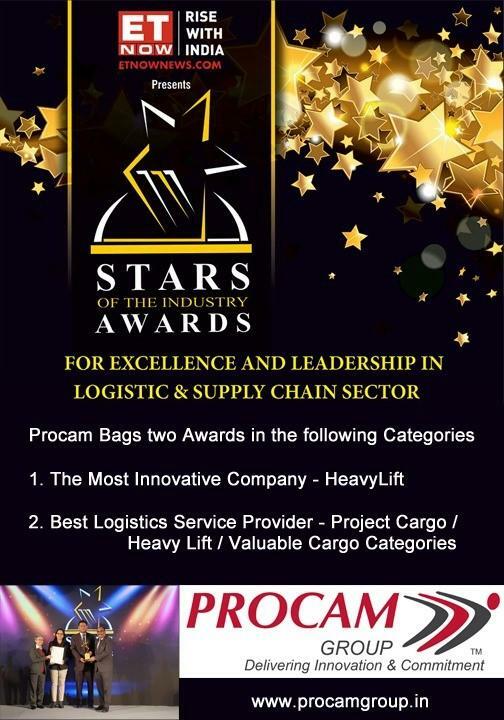 These awards were presented by the Economic Times - ET NOW "Stars of the Industry Awards" for Excellence & Leadership in the Logistics & Supply Chain Sector. "We thank all our Global Network Partners, Business Associates & Clients for their continued support which greatly contributed to our winning these honors."